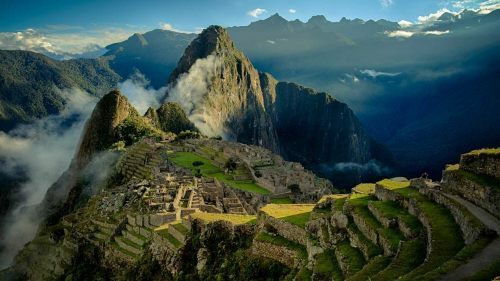 AeroMexico has dropped the price of their flights from Toronto to Lima, Peru down to $578 CAD roundtrip including taxes. The flights have an overnight layover in Mexico City on the way back. NOTE: Some departure dates may have a long layover. You may want to try a day before, or after, to look for the flights that have the more reasonable 4 hour layover. You're looking for the departure dates that show a 14h 38m total travel time on the way there. toronto, yyz, flight deals, south america, lima, peru, lim and aeromexico. 3 Responses to "Toronto to Lima, Peru - $578 CAD roundtrip including taxes | May and June 2016"
I'm here in Peru now, and I highly recommend it. However, I booked with air Canada, yes it was a bit more, at $630, but it was a direct flight, and the total flight time was only 7.5 hours, vs almost 11 and a brutal 11+ hour layover for air Mexico. So you're avoiding 14 very uncomfortable hours for only about $60 more. ill buy 14 hours of my life back for $4.25 an hour.... That's a good deal. The price I found can be had by using kayak's flex month search. It was posted a week ago.